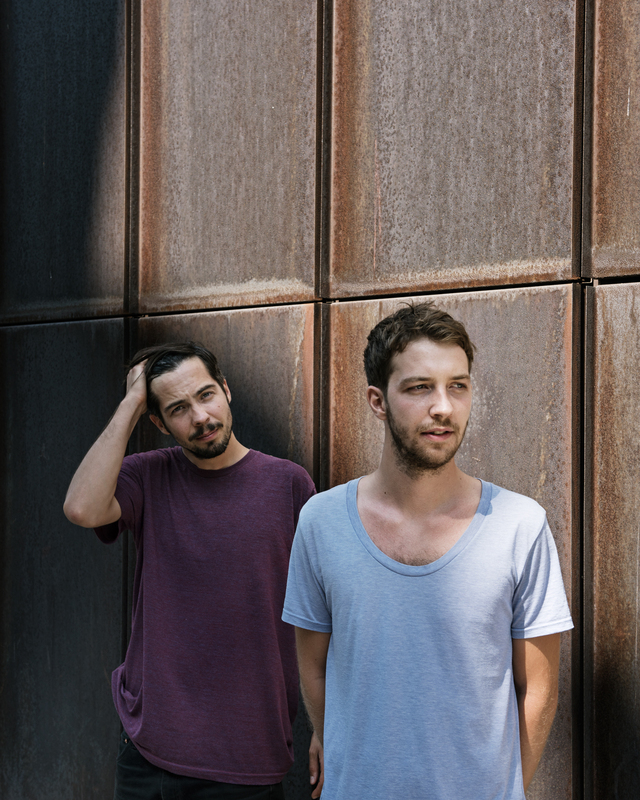 Munich natives the Zenker Brothers have steadily infused German techno with a refreshing take on broken beats and gnarled, organic textures. While their label, Ilian Tape, has been one of the most consistent imprints in contemporary dance music, their own productions have reached new heights since their debut LP Immersion dropped earlier this year (which Marcel Dettmann recommended earlier this year). In part four of our Played Out series, the brothers dissect a selection of predominantly UK and German techno for a controlled exercise in tension and release. PLACE: Concrete, Paris / TIME: 4:00A.M. Sunday, peak time. Whether we’re starting our set in the middle of the night or at the very beginning, we mostly lead off with a beatless track. It helps the crowd recognize that there’s a new DJ taking control—one who’ll build a new vibe from a clean slate. In that sense, this recent Appleblim track is a perfect launchpad. Appleblim has been making dope tunes since 2005, and “Auburn Blaze” shows how versatile a producer he’s become over the last decade. Rippling dub ambience makes way for a searching arpeggio that creates a tantalizing sense of anticipation. We like our beats break-y and syncopated. It’s nice to maintain the tension with broken rhythms rather than launching straight into four-to-the-floor material after an ambient intro. This track has a very trippy vibe and a subtle rolling groove. Hodge is responsible for some wicked cuts in recent times, and this is one of our favorites. It’s quite simple but it sounds unique, and it’s a track you recognize immediately. It’s great when a tune makes you wait for something, but what you’re waiting for never seems to come. Which is to say “Flashback” maintains the tension without getting boring. After a simmering build-up, “Flashback” finally releases the pressure valve with an expert drop, setting the scene for higher energy. This Stenny cut was released on our label Ilian Tape, and it was a highlight in many of our sets this year. It pumps straight from the get-go and captures the flow established by “Flashback”. “Hagale” is a peak time track that avoids the standard formulas producers use to make those hands-in-the-air moments. On the other hand, it evolves in a way that’s hard not to dance to—weightless pads are counterbalanced with shuffling hats, and a killer kick-stab combination keeps the momentum ticking over. Stenny is part of a new generation of Italian techno producers who are picking up the techno lineage laid in Napoli during the ’90s. Vai Stenny, Vai! Shorter, charging loops move the energy levels into the red as Stenny’s modern techno gives way to a ’90s classic. True to the EP’s title, this track is a dry, loopy monster from 1999 that’s still making booties shake over a decade since its release. We like our sets to unfold in waves of different styles, and this is a great tool with a personal sound that’s perfect for building bridges to other musical moods. A set with one straight vibe and sound feels rather boring to us, so we like to keep things diverse and vary the energy levels during the set. Swinging 909 hats and subtle sub pulses creep into the mix, signaling a turn toward a funky direction. “Sphinx” has an infectious, banging swing to it, which jumps on top of the Surgeon track quite nicely. It’s dark yet extremely catchy, with an ebbing synth line bubbling atop the funky groove. Like the preceding tracks, it has an open-ended vibe that opens up many options for what to play next. Marcel Fengler is a great guy, DJ and friend, and it’s particularly nice to slam cuts made by your buddies. Photo by Frank Bauer. This article originally appeared in the Fall 2015 issue of Electronic Beats Magazine. Click here to read more from past issues and here to see their Slices feature.